Cllr Stephen Cowan, the Labour leader of Hammersmith and Fulham Council, is celebrating after a £14,000 boost in his Council Taxpayer funded allowances. He is already paid £8,940 as a basic allowance plus another £32,186.70 “Special Responsibility Allowance” for being council leader. So that’s £41,126.70p. Not bad for a job that he treats very much as part time. Now he’s taken another £14,000 for being a board member of the Old Oak and Park Royal Development Corporation. It meets about ten times a year – and take about an hour and half each. So around a £1,000 an hour. A nice little earner that brings the total to £55,126.70p. Kerr-ching! The Mayor of London’s staff and London Assembly members who serve on the board are not claiming any extra money. But Cllr Cowan has decided he’s worth it. The Council had strongly opposed the setting up of the Board on the grounds it was “anti localism”. It’s creation would mean “handing decision making over to unelected representatives”. Only having one council representative would be a complete waste of time. I wonder what prompted Cllr Cowan to overcome his objections to participating rather than maintaining a principled boycott…. Of course the regeneration scheme is important. It will provide 24,000 new homes and 55,000 new jobs alongside the HS2 and Crossrail Station. The trouble is the plan is for the new homes to be very ugly – part of some ego trip for “starchitect” Sir Terry Farrell. If Cllr Cowan was to ensure attractive traditional housing with street patterns instead of soulless tower blocks then I wouldn’t mind him pocketing the extra cash. But the notion that he will achieve anything in this regard – or even bother to try – is risible. 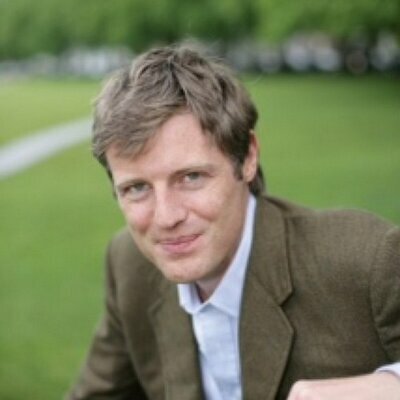 Far more likely to make a difference would be the election of Zac Goldsmith as the Mayor of London in May. As an opposition councillor Cllr Cowan regularly denounced dealing with property developers and was furious the Conservative Council sent representatives to the MIPIM conference in Cannes. Yet when the Old Oak and Park Royal Development Corporation decided to take part in the MIPIM gathering in Cannes next March there was not a squeak of protest from him. Last year when MIPIM held an event at Olympia, Cllr Cowan was schmoozing with property developers inside when the Labour MP Andrew Slaughter was outside denouncing the gathering. In Hammersmith & Fulham we are enormously proud of your achievements as Mayor of London. You have made significant changes to benefit our residents in reducing crime, reducing your share of council tax, modernising the District Line, scrapping the western extension of the Congestion Charge, bringing ‘Boris Bikes’ west and planting new street trees. We could go on! However, similar to the seven Conservative Councillors from Westminster who wrote to you earlier in the week, we are very concerned at Transport for London’s proposals around new regulation that will particularly affect Uber. A significant number of our residents use Uber as a convenient, competitively priced and forward looking service that is setting the pace in the taxi market. To bring in rules that prevent residents from seeing where nearby taxis are located and have to wait longer than sometimes is necessary to get their cab (especially late at night) would achieve nothing other than inconvenience for thousands of Londoners and visitors who value such a service. We believe it is possible for the black cab trade and firms like Uber to co-exist in a competitive market place and respectfully suggest the answer may lie more with deregulation of black cabs than new regulation on others. Please review these proposals and let competition and the free market settle this matter, not state interference.